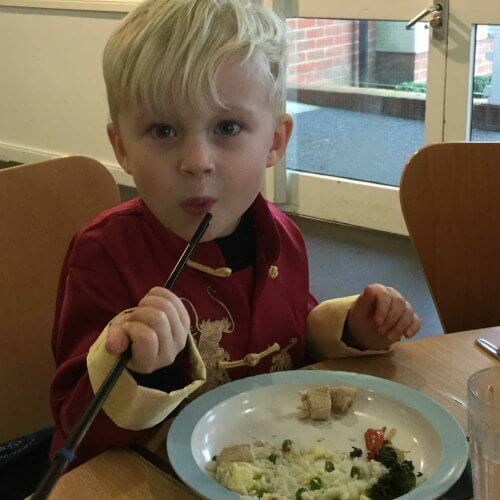 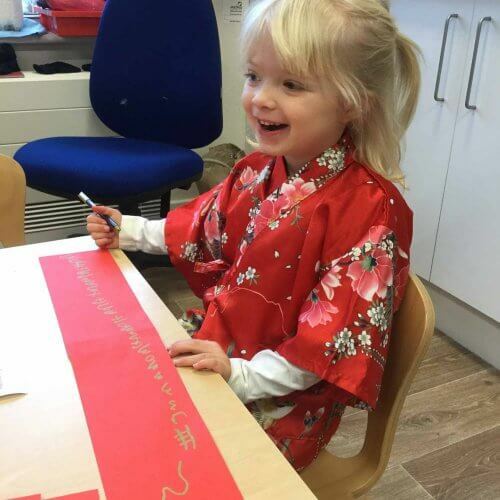 The children in Nash House celebrated the Year of the Pig this week. 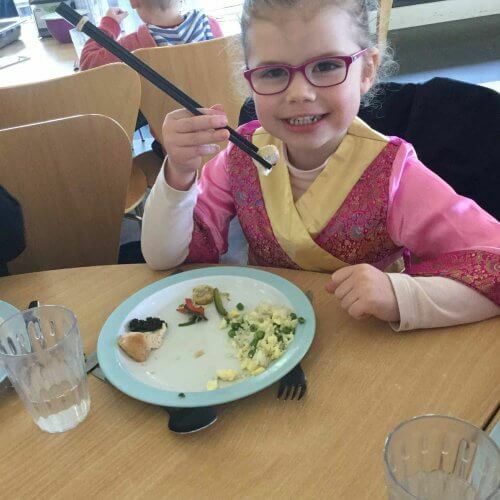 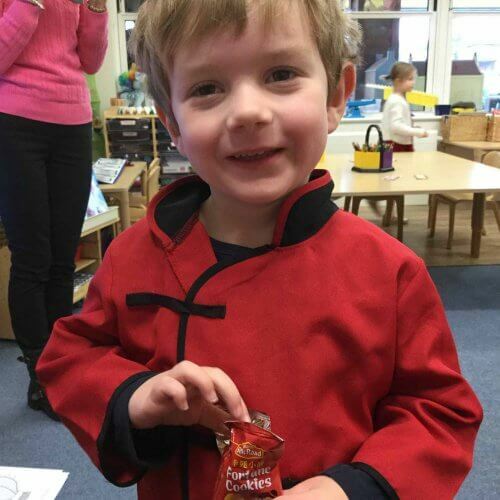 They enjoyed dressing up and eating fortune cookies, and eating a delicious Chinese meal with chopsticks. 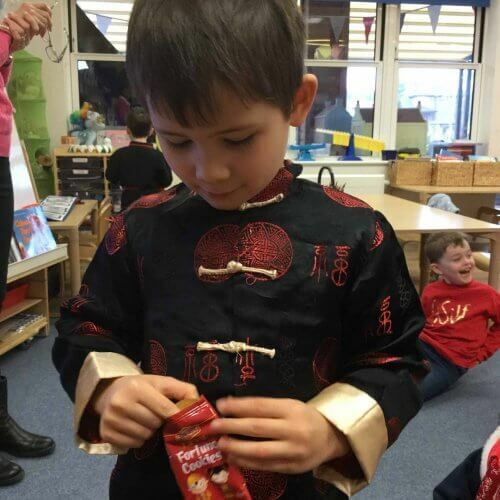 Thank you to Mr Hartono and Mrs Bird who provided the department with lucky money envelopes and chocolate coins. 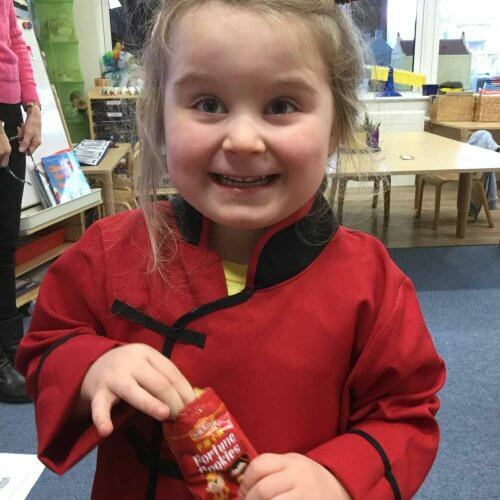 Also a huge thank you to Mrs Kneller who kindly made delicious nian gow for us all to taste.